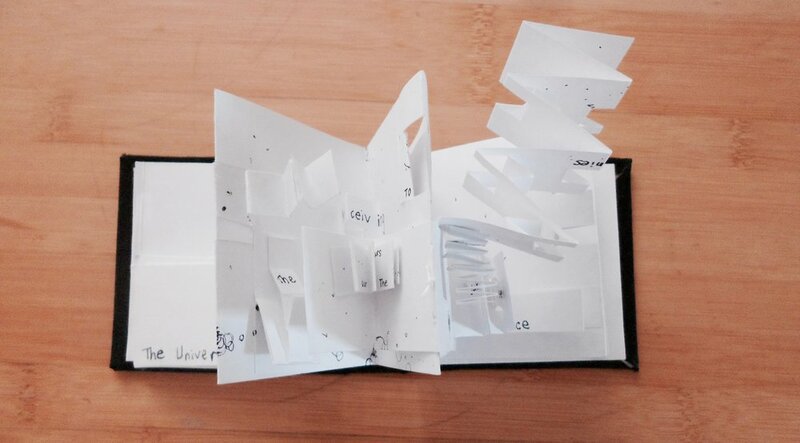 a physical, concrete representation of time and space encapsulated in a book. This project was based on an experience that involved a class trip to a house where I had a discussion on time and space. The house that we visited had very rectangular elements that were quite intriguing and inspired the look of my book. I created my book's layout to open in a very long, horizontal page that continually unfolds, because to me, that is what time is like: opening and expanding further and further, seemingly endlessly. But within that space, there are little pockets of events happening, at different times and intervals, as well as simultaneously. 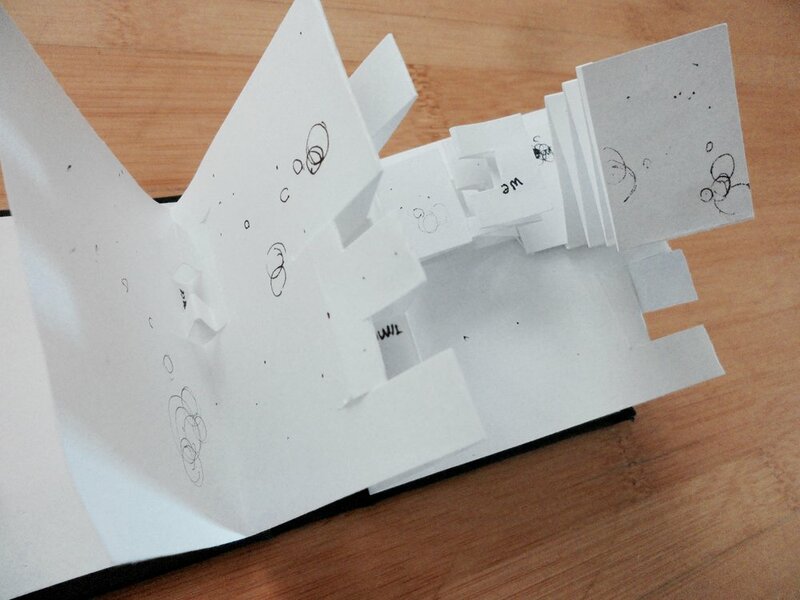 Hence, I designed the book so that some things may fall and unfold out at various spots along the page. First book draft design: About 8 x 3.4 in. A look inside the first draft pages. Final book design, square shaped.